An interview with Reverend Palti Panjaitan of Batak Christian Church (HKBP) Filadelfia published by the Asian Human Rights Commission regarding the threats and intimidation directed by the villagers of Jejalen Jaya against him and his congregation. 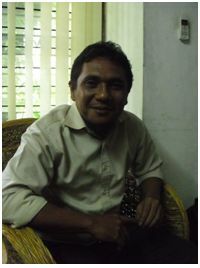 Palti Panjaitan is the leader of the church who has the authority to take decisions on behalf of the congregation and the church. What is it like to be a member of a minority group in Indonesia? I would firstly question the definition of the term ‘minority’ first. Who is actually the minority? Because even in the religious group that we often consider as the majority in Indonesia, Islam, there are sub-groups which are also minorities. However, this time let us not dispute the definition of minority and just accept the commonly accepted definition of it. In my opinion, the minority groups in Indonesia are always in fear and worry and always feel insecure simply because they are not being protected. What do you think the main root of the problems between the HKBP Filadelfia and Jejalen Jaya villagers? The root of the problems lied in the government and social regulation. The government has failed to enforce the law as it should and the society does not play their role as the members of the society properly. But do you consider the laws and regulations in Indonesia are just already? The 1945 Constitution has provided all kind of protection that we need. However, the laws and regulations derived from it are often not in accordance with the Constitution itself. The 2006 Joint Regulation of the Ministry of Religious Affair and the Home Minister, for instance, has failed to guarantee the right to freedom of religion and to manifest religion. It violates the Constitution, which is the supreme law in Indonesia. Other examples are Sharia laws which stipulated in many local regulations in Indonesia in the name of local autonomy. Why do the villagers of Jejalen Jaya village refuse the presence of HKBP Filadelfia in their community? The majority religious group there, the Muslims, are worried that we would try to convert them to Christians. Secondly, I see that there has been radicalisation which is actually brought by other groups who are actually not from the village. In addition to it, there are so many interests involved in this case either it is the interest of a particular group, individuals or political interests. So actually there are several reasons why the villagers refuse our presence in their community. Yet the main issue is actually they are worried that we would convert them whereas of course we will not do such thing. How would you describe your relationship with the local villagers now? I can say that my relationship with the villagers is generally fine. From Monday until Saturday, our relationship is fine. Yet when it is Sunday, the villagers always put me and my congregation as their enemies. On Monday until Saturday, we interact like there is no problem between us. In fact, we have quite a mutual relationship. For instance, some of them are ojek (motorcycle cab) drivers and the members of the congregation use their services. My kids have to go to school and usually it is the villagers who take them to school with their motorcycles. We also buy the goods that they sell in the market. Some of them even also work for us as housekeepers to earn extra money. Yet every Sunday they somehow treat us as their enemies. What do you think is the solution to this problem? The government has to act in accordance with the law, constitution and human rights. If the government does not take any action based on these, it is possible that the villagers will do things that are worse. What have you and your congregation done so far to defend your rights? We have expressed our voices and concern, we have begged, we have screamed. We have pursued all means which are available. We have taken this case up to the Supreme Court and its decision was in favour for us but it is simply disregarded by the local government and left unexecuted. We have also filed complaints to several government institutions: the Ombudsman, the National Human Rights Commission and the Presidential Advisory Board and they received our complaints. However there have been no significant results so far. As far as I am concerned, they are currently conducting investigations and collecting more information. How do you see the role of the government in this case? The government takes side and it is the side of the majority. They are too afraid of the intolerance groups and this is a well-known fact in Indonesia. We cannot deny this. You see there is a particular group which intimidates and persecutes other groups, they destruct other people or other group’s properties but the state simply does not take any action against it. How do you convince your congregation that they should continue defending their rights? It was a very long process. We have analysed and calculated so many things and we have predicted the problems that we are facing today. In my preaches, I repeatedly deliver the message for them not to stop defending our rights. I tell them that this is our right and the constitution has also guaranteed this. It was a very long process but I can tell now that my congregation understands this really well. We have not been able to conduct the service of worship in the land we bought for two years so the congregation is well-tested, I will say. What will stop you from defending your rights, if there are any? There are two things that will stop me defending my rights: first, if HKBP Filadelfia is granted the permission to conduct the service of worship in the land that we lawfully bought and, second, if I die. Only when I passed away I will stop defending my rights. 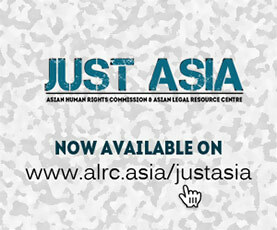 About the Author: Answer Styannes works for the Indonesia desk of the Asian Human Rights Commission. She studied international human rights law at the University of Essex, United Kingdom.